Blog love. | love lives on. I love to write. Not so much the grammar side of writing, for me it’s more about the words themselves over the perfect sentence structure. While this blog has given me plenty of reason to spend many a moment in my happy place, the blog world in general has given me so much opportunity for learning and enjoyment. The first blog I read that inspired me to start my own was Love and Leash. I found myself tuning in every day (and a year and half later I still do) to check in on Chick, their latest foster and now The Dude. It’s the perfect mixture of words, photos and sentiment. That blog makes me strive to be a better dog owner. From there I found Our Waldo Bungie. More wonderful words, photos and dog/foster stories (and sweaters!). I have connected (via email) with many bloggers, however E, the writer of this blog, was my very first blog contact/friend. Beyond just reading each others blogs, we reach out for help, advice and support. It’s quite the perk. Then there is Two Pitties in City. I’m so in love with the sweet faces and personalities of these two dogs. 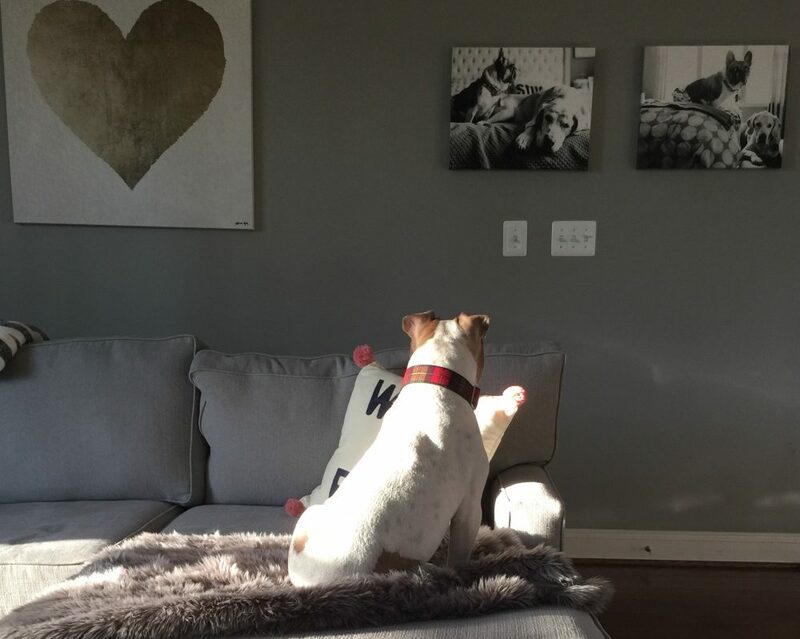 I found this blog after their last foster was adopted so my love of it centers on stories and photos of their current dogs, fashion (the dogs of course) and decorating. Through the blog community I’ve mourned when one blogger had to put their foster down. Knowing they did all they could and reading through their emotional struggle was hard. I felt a similar, deep sadness about Knox (and his family), a dog I never met but was so very sad to see gone. He was struck with illness far too early in his short, sweet life. Grief didn’t care that we’d never met. The blog world has also given me (much more) opportunity to cheer, as foster after foster has gone to their forever home. And new ones have rolled in for placement. Real people, stories and emotion. Sign. Me. Up. Many other awesome blogs can be found on the Oh Melvin home page on the right side of the screen. And if you haven’t already, please like us on Facebook. That is the EXACT way I started my blog and fostering! It has been great becoming part of the dog blog community. Everyone is so helpful and knowledgeable. I have really enjoyed talking to people via email and I hope that we can continue to share tips/stories/laughter/sadness. Yay to blog love!